The first thing your guests see when it comes to your wedding? The envelope containing their invitation or save-the-date. Let’s make those envelopes shine! 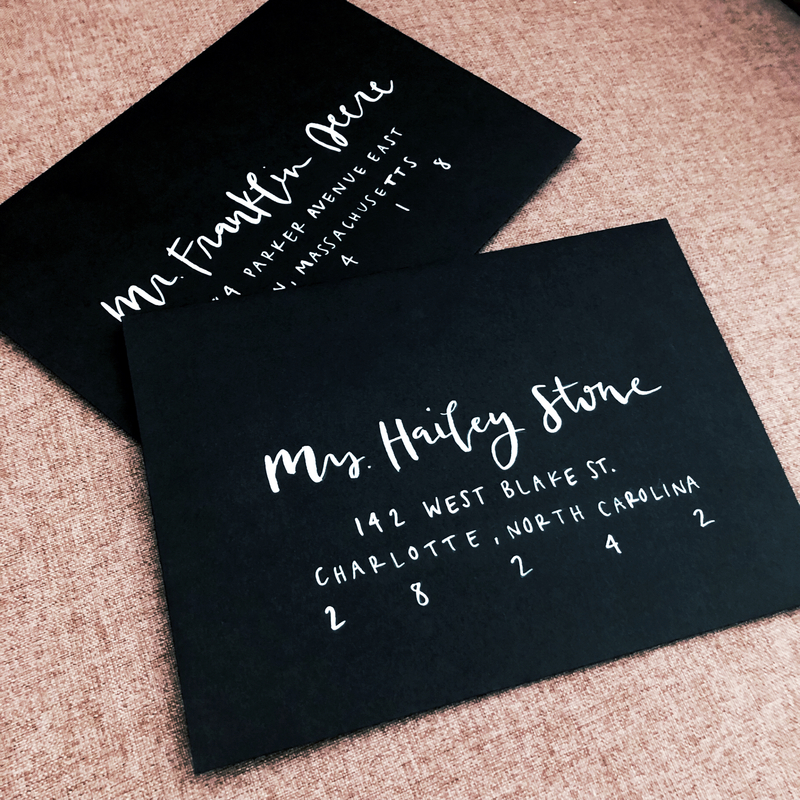 Beautifully hand-lettered envelopes add a fun and unique touch that your guests will love right off the bat. Let's make a good first impression. 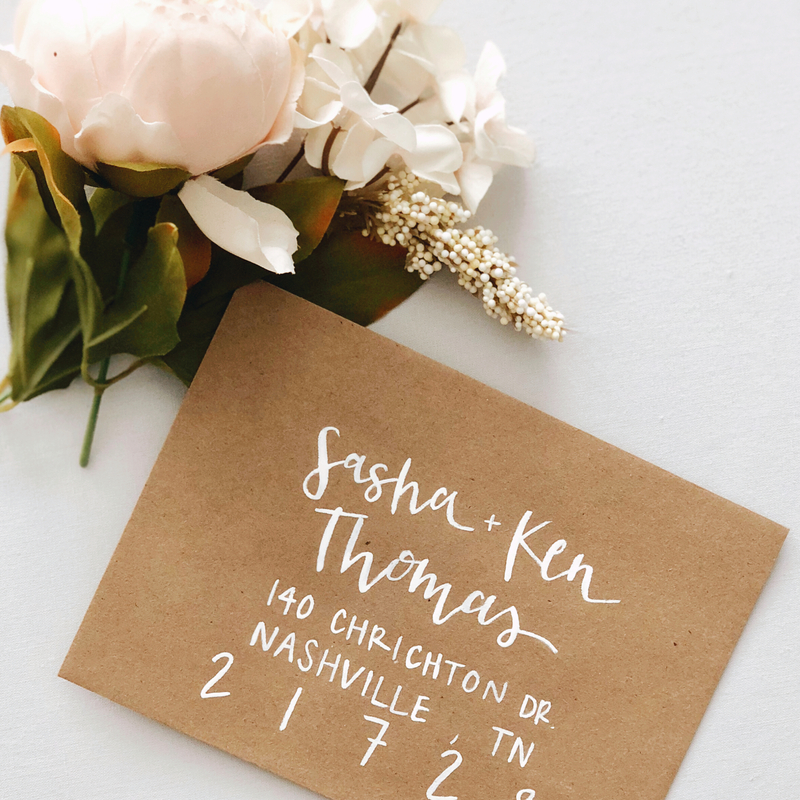 I love snail mail (as long as they’re not bills…) and if you ask me, there’s nothing better than receiving a fun piece of mail in a beautifully-lettered envelope, no matter the occasion! If you’re interested in learning more, please fill out the form to the right and I’ll get in touch with you to discuss details and next steps. The quickest of the bunch timeline-wise, I suggest allocating 3-4 weeks for envelope calligraphy projects. I can typically accommodate quicker timelines than this, but it’s good to have a buffer for unexpected surprises.